Gotta say – this was my favorite! Saute mushrooms in butter and drain. 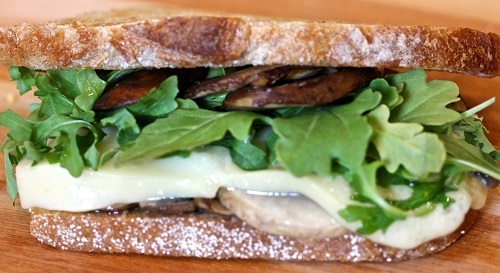 Toast bread and pile with arugula, cheese and mushrooms. Place in 350 degree oven for 5 minutes or until cheese melts.